Pat’s Oak Manor is the premier location for couples to tie the knot and then celebrate the night away with great food and cold drinks. 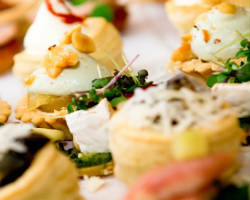 The on-site catering is really a perk that comes with reserving the venue, as the value for money is unmatched. For relatively cheap, you can offer your guests delicious gourmet catering that everyone will love in a fun and totally customizable venue. Specializing in buffet service, you and your guests can pick and choose your favorites from the beautiful spread. If you are looking for a hearty and exotic meal to serve at your wedding reception, corporate event or large gathering, Il Mito Trattoria e Entoeca has all of the fresh Mediterranean and Italian inspired dishes to please everyone. They focus on not just providing great quality food, but food that has authentic flavor that will make you and your guests feel the warmth and love that goes into making the dishes. 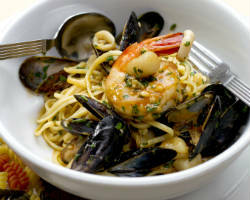 For an affordable price, you can serve your guests with the best, most flavorful menu in Milwaukee. 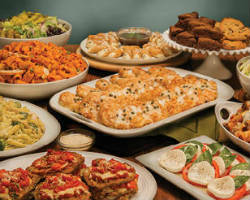 Buca di Beppo is famous for offering the most authentic Italian catering. For any size event or party, they deliver party platters, drinks and more with all of the dining ware you will need. This company not only provides quality catering and service, but they also ensure that your event goes on as smoothly as possible. 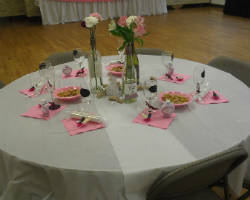 They want your event to be stress-free and enjoyable for you. Once you choose a menu at a previous consultation, then you can relax and trust this team to execute the catering perfectly. 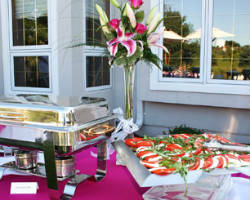 Panetta’s Catering is a local caterer that is the result of family tradition. Since 1920, the owner’s grandmother ran a restaurant and bakery. The love for serving great food was passed down and led to the establishment of this company. 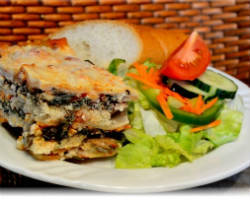 With an excellent staff, the service is always friendly and professional while the food is always delicious. This caterer offers a pre-set menu as a recommendation but will work closely with you to create a custom menu that meets your personal tastes and the style of your entire event. 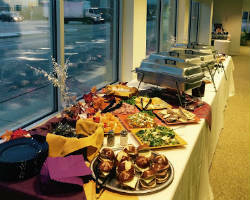 Louise’s Catering & Events is unique in that this catering company offers menus from nine of Milwaukee’s best restaurants. The company works with the restaurant that provides the cuisine you love to bring you authentic dishes of restaurant quality every time. This company not only handles providing you with fresh and tasty food, but they also handle the execution of the entire event, running things behind the scenes so you can relax and enjoy the most important day of your life. If you’re looking for a wedding catering company in Milwaukee with a great reputation and huge amounts of experience, look no further than Savory Catering and Events. This caterer truly listens to what you want and need from them so that they know what you expect and can exceed those expectations to make your event even more special than you could have imagined. They serve dinners in homes and outdoor events, but their service and food truly shines when it is served at a large wedding reception for even more people to enjoy. The Pulaski Inn is known for providing impeccable service to each and every client they serve, in any capacity. Maintaining their reputation doesn’t stop with catering. The catering they offer, in fact, has become famous in its own right as being unbeatable. They offer off-site catering for a variety of venues around Milwaukee including some of the top historical sites. They have previously served up to 800 guests with style and ease meaning they will surely handle any wedding reception gracefully.